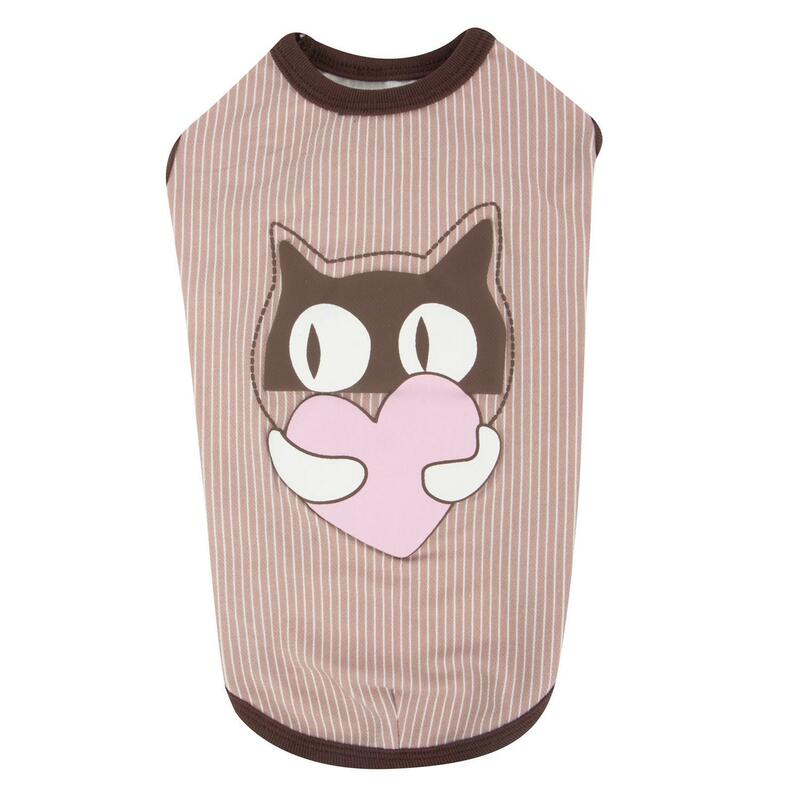 Share the love from your sweet kitty with the Kissie Cat Shirt by Catspia in Brown! 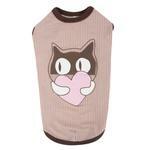 The Kissie Cat shirt by Catspia is a fun striped pattern shirt. Comes with a cute kitty showing love design print on the back of the shirt. 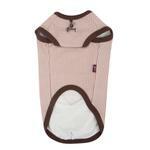 Made with 65% cotton, 30% polyester and 5% spandex. Bell and fish-bone on chest of shirt. Brown trim and high cut belly. 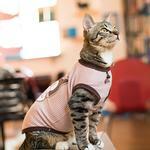 Unlike dogs, adapting cats to clothing may not be easy. A temporary phenomenon may occur where she will walk sideways or move stiffly. Most cats will adapt to clothing within 3 to 7 days. Small - Neck 10.2" Chest 14.6" Length 9.4"
Medium - Neck 11.8' Chest 16.9" Length 11.4"
Large - Neck 13.4" Chest 19.3" Length 13.4"
These items will be Christmas gifts for my daughter's and sister's. dogs The selection is so much nicer than what I see in the local pet stores.